I made a lot of progress on my table runners last weekend, pieced, pinned and ready to be machine quilted. But then I got stuck. If you have a pet, you can appreciate my dilemma. 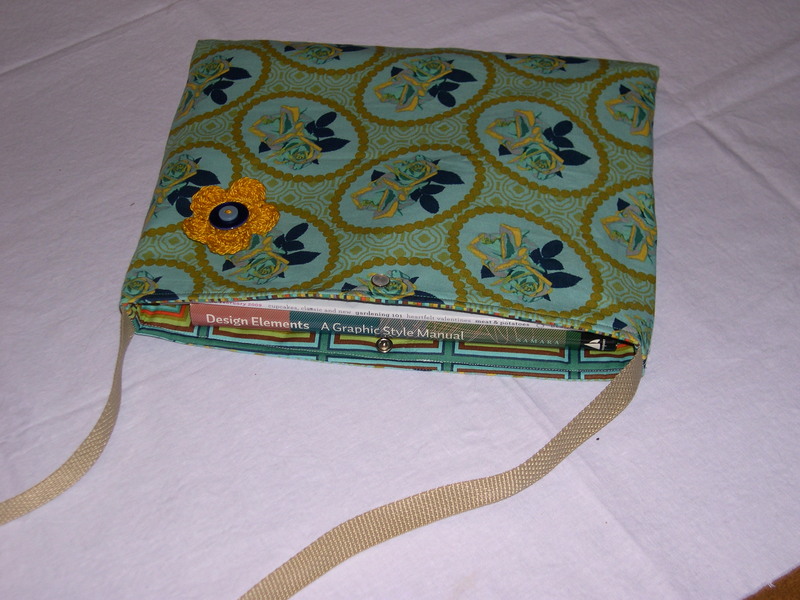 So I decided to make something else – how about a quick book bag! I made this book bag in less than an hour, no, really, less than an hour. I based this on Randi’s tutorial but made mine a little bigger to fit a magazine or two. Have I ever mentioned how much I love magazines? I LOVE magazines. So this size works good to carry my magazine(s) to the cafe. 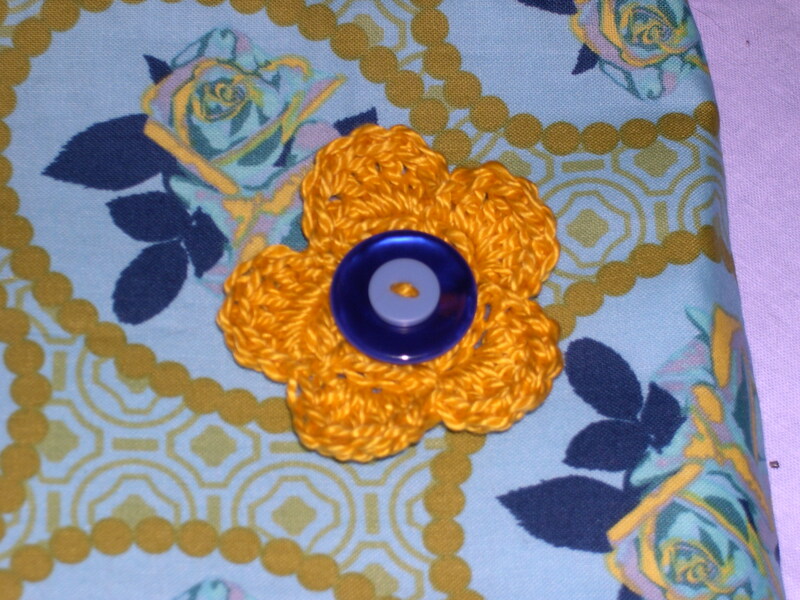 I also added a crochet flower from my stockpile for pop and accent. 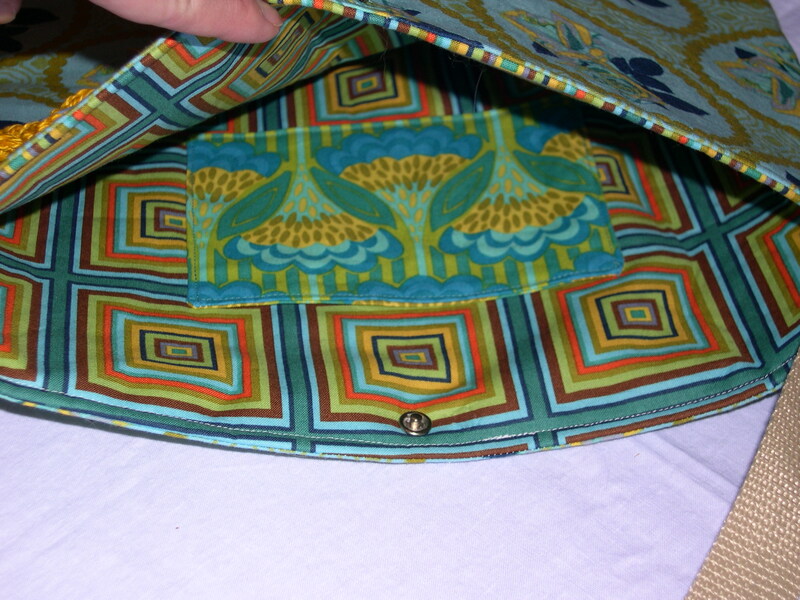 Making this bag gave me the idea to make another one sized to fit my laptop, but equally as pretty. 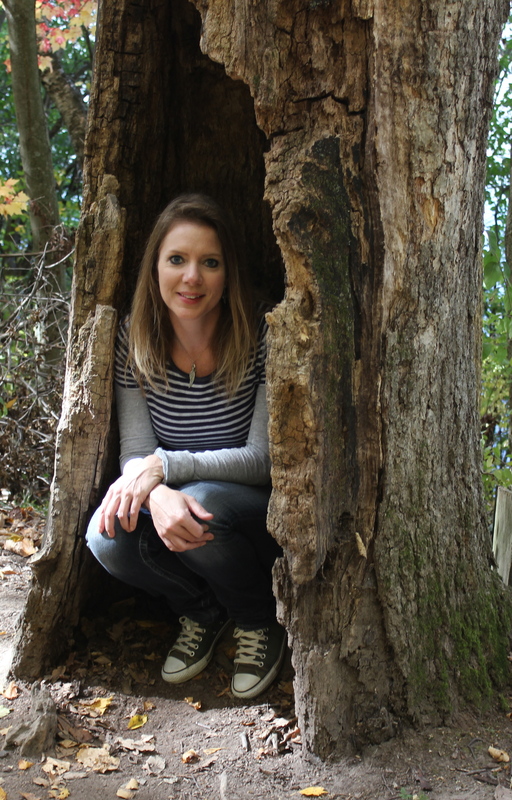 I was encouraged when I read beki’s creative process for tweaking her bags. I’m going to work on that next weekend, maybe after Callie gets off my table runners so I can finish them! 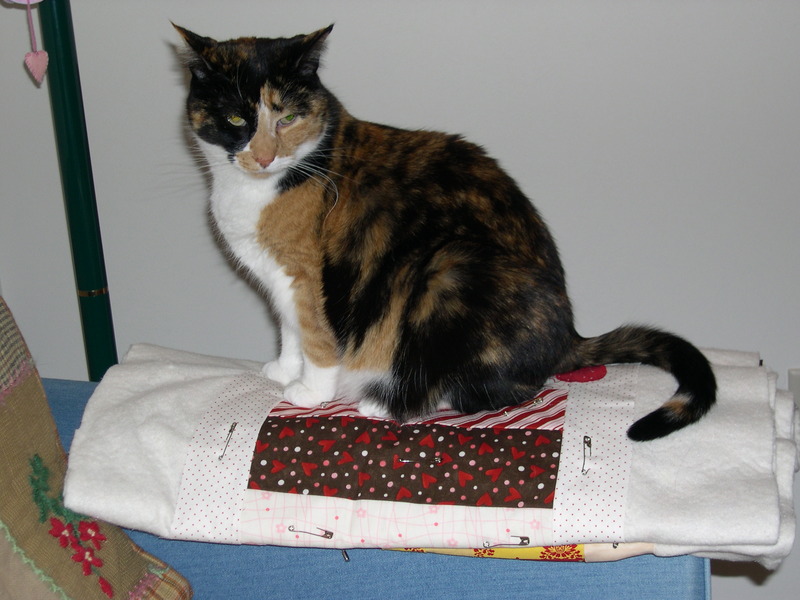 Cats and fabric…They just seem to go together, don’t they? The crochet flower is the perfect finishing touch! I have some of that same fabric that I want to use…for something…I just don’t know what. I love the book bag idea! Very cute!